Widespread electronic health record (EHR) adoption has ushered in a pivotal moment in laying the groundwork for health information exchange (HIE). 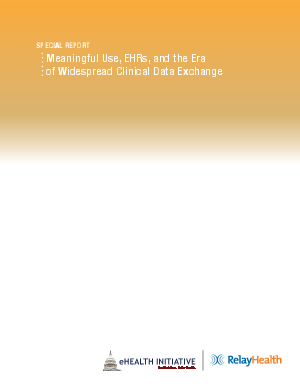 However, organizations working toward HIE now also face the challenge of bringing connectivity to scale to take advantage of the data that is being generated by widespread EHR adoption. This paper seeks to demonstrate that connectivity at scale can be accomplished.